I think that's the normal course for a special needs parent. As Tiny B grows and becomes more typical, I just don't know what do to. And that is exactly what is happening...She is blowing me away with what she is accomplishing and I need to start viewing her as a typical little girl in so many ways! I'm going to share how God really touched my heart last week. He reserves really special things for me for when I really, really need them. I've been feeling lost with our medical team. The Austrian doctors who weaned Tiny B are in Austria and they just can't help any further. They were AMAZING and what I wouldn't give to have them here in America, but that just can't happen. I've had to really have faith in myself and God that I'm doing the right thing with her care. I was texting my worried thoughts to my very good friend, and she said something along the lines of the fact that I know what I'm doing, even if I don't have a degree in it. I thought for a second, and I saw flashing lights in my head and I said, "Wait! I do have a degree in this! My degree is in child development!" I've sometimes regretted my decision to get my degree in child development instead of liberal arts, because with the liberal arts degree I wouldn't have had to take the awful MSAT test that I had to take to get into the teacher credentialing program. But now I see...I know child development! And I know the stages they go through and I've taken a lot of classes on the subject. God wanted to remind me of that to give me the confidence that I so desperately lack. And perhaps He guided me in that decision twenty years ago. I need to remind myself that I am more an expert on my child than the doctors are, and that I can do this. After I texted my friend what had happened, we were both in awe. I told her about Tiny B's little head at birth and how it was the size of a tennis ball. A few hours later, I found Tiny B sitting in the backyard, petting a tennis ball lovingly with her hand. Whoa. That evening, we were both in the bathroom. I don't weigh her often and I don't like her to get on the scale by herself because I don't want her to even think about her weight. It's not a subject we discuss in front of her. I always have to pick her up with me because her weight is too small to register on the scale and it always says zero. Well, she jumped on the scale and I told her to get off of it. She stood there and it said thirty-five. I was amazed because she wasn't thirty-five pounds but that is what I wanted her to be and the number I kept thinking about. I texted my friend and told her just how cool that was that God had thrown that number on the scale for me. A few weeks passed, and we went to the doctor today, and guess what she weighed? Thirty-five. God is amazing and so full of love for me that He kept telling me that it was going to be all right. And continued His little hints today, when we saw the number "thirty-five." 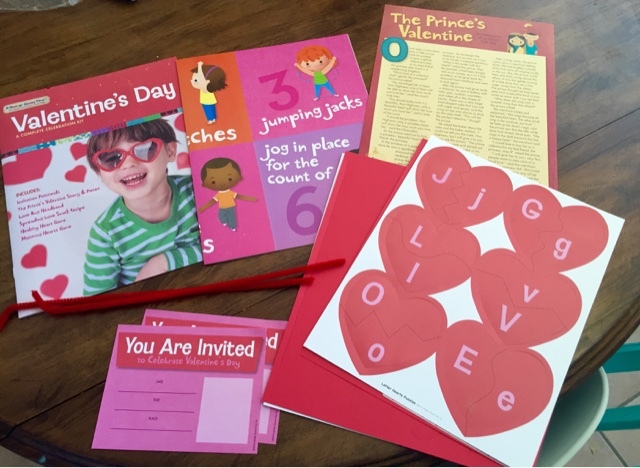 And in the spirit of love, I'm going to talk about the Mother Goose Time Valentines Day Kit. 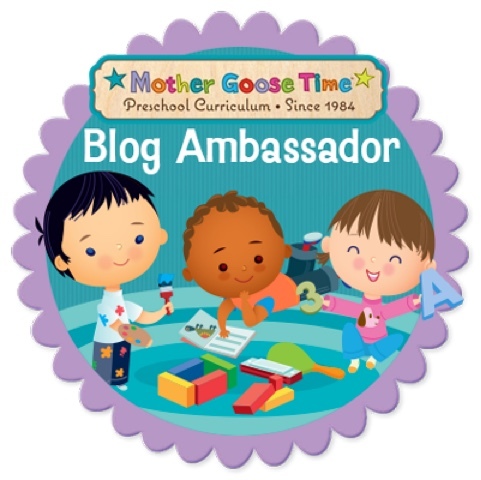 I don't know where this blog falls...Is it a curriculum blog or a mommy blog? I think it's both. 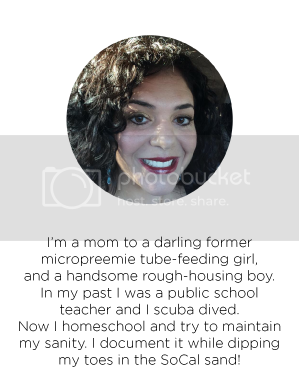 I think it's me chronicling a very amazing time in our lives--weaning from a feeding tube and our first year of homeschool while we use Mother Goose Time Curriculum. 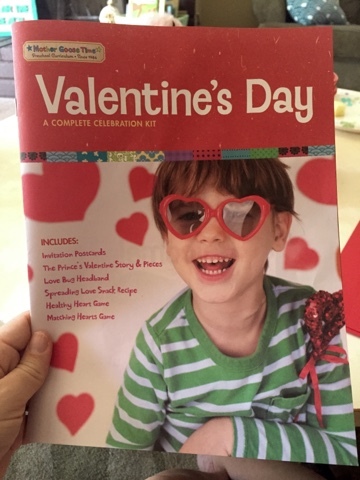 Anyway, they always include a kit every month for a special occasion, and it's always such a sweet surprise to see what activities are included. For the second time since we've had Tiny B and Strong B, my husband and I went on a dinner date! 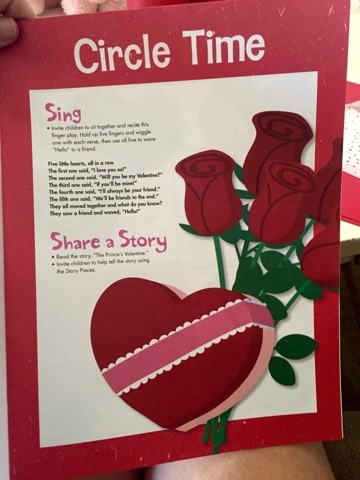 I did a few of the Valentines activities with them, but I left the rest for my mom to do as she babysat! I showed her the lesson planning booklet that comes with the kit. It is part of my dream that my mom take on some of their homeschool lessons as we move through the homeschooling years. She's an amazingly talented artist. With MGT, it is actually quite easy to have someone else take on a few lessons because the teacher guide's are so thorough. 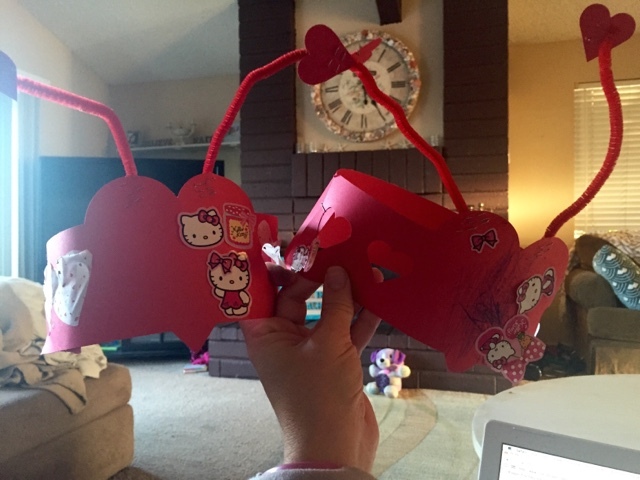 I sang the circle time song with them and we made the Love Bugs hats together. As usual with the art activities, they practiced their fine motor skills, right down to peeling the stickers off of the page. They went outside when their hats were complete and pretended they were bugs and did bug things. A few days later and we are still wearing them. 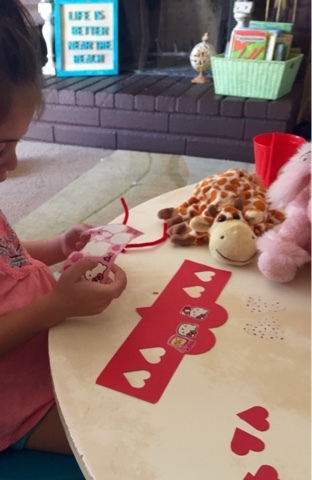 They then did the activity where they matched the lower-case letter heart piece to the upper-case letter heart piece. Tiny B has this objective down but Strong B is still working on it. They laid out the fitness poster and threw a small rock and wherever it landed, that is the exercise that they had to do. Perfect practice of gross motor skills. The kids really enjoyed this because they are beginning to understand through this month's curriculum what fitness is and why it is so important, plus--they want MUSCLES!!!! So thankful for God's blessings and for His reassurance, as well as a sweet curriculum that gently leads my kiddos to where they need to be.